If you’re interested in building on your brand, you must first build a better website for your business. Whether you’re a salon owner, manager or stylist, you’ve probably contributed to your company’s website in some way. Perhaps you built the webpage from the ground up, having done all of the coding yourself, or maybe you simply posed for a headshot that now sits on the stylists’ page for new clients to see. Regardless of your level of technical knowledge or involvement—your contribution matters—perhaps more than you know. Branding is everything, and in today’s technological times, a great deal of brand promotion needs to take place online in order to draw attention to your business. If you’re online, your potential clients are likely to find you before you even know they exist, via the web. This is fabulous news for savvy salons with up-to-date websites, but it has other connotations for the digitally challenged among us. Whether you’re starting from scratch or simply need to update an existing site, digital business expert, Brandon Hensley, has some advice on how to use your webpage to connect with your clients. Brandon and his wife, Janet, own and operate Tangerine Salon Group, a group of luxury salons in the Dallas, Texas area. Brandon is also the creative brain behind Collective Office, a shared workspace for co-working and collaboration, he developed a consulting agency as an extension of Tangerine Salons, and he is one of the co-founders of HelloBooth.Co, a social media tool that allows customers and guests to promote your business on their own platforms and profiles with the click of a button. With his specialized industry insight and a knack for web development, Brandon offers his best advice for creating a website that will allow you to better connect with your clients. If you own and operate your own business, you are responsible for growing it, which means you need to build your brand. This can be a daunting task for many as you navigate just how you’re going to expand your reach to your diverse clientele, but in today’s digital world the best place to start is online. You can always hire out and bring digital designers in to build your website for you, but contracting a media team can be expensive, and as long as you’re up for the challenge—building your own brand allows you to better control the narrative. Building a website has become much easier over the years. 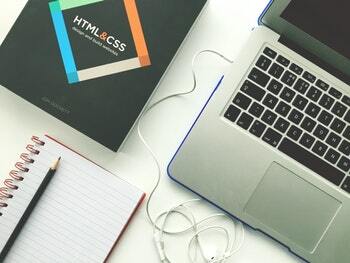 If you aren’t interested in memorizing coding or HTML, Brandon suggests finding a host site, or a site that will allow you to use their domain. There are a number of great hosts with different templates and many customizable options to best fit your needs and the needs of your business. When building his own websites Brandon always looks at the mobile version first. Although there’s nothing more satisfying than designing a fresh web page for a desktop, no matter how clean and organized it looks on the big screen, it will always fall apart when you transition into mobile. People don’t have the patience for poorly designed mobile pages anymore. Your clients are always on the go and if they can’t access your website during their morning commute or on their walk to lunch, they’ll quickly move on to something more convenient and accommodating. Brandon says his goal is always to make it as easy as possible for his clients to schedule their next appointment. On every single page, the header should include a clickable phone number and a link to your online booking agency so that no matter where your clients are on your site, they never have to backtrack to look for ways to contact the salon and get themselves on the schedule. Many of you are use to constant updates and remodels with regards to your physical space, but you need to be consistent in updating your online space as well. The worst thing you can do after building a web page is allow it to become stagnant. Brandon recommends remodeling your website every two years. Sticking to this schedule is beneficial for many reasons. First, it keeps your site clean, fresh and up-to-date for clients and users. Second, it helps your business website stay relevant on search engines. Google and Bing want to see that things are changing on your site, they want proof of activity and action, and in return they keep you higher in the ranks, which makes it much easier for potential customers to find you. For some businesses, a crisp, clean and visually appealing website is all you need, but in the beauty industry potential clients rely on your website as their main source of information. Trusting somebody with your hair is serious business, so it’s imperative that you provide details as to what kind of training your staff has in order to help your clients find a suitable stylist. Quick Tip: Don’t forget pictures! Professional photographs are so important in creating an appealing site. People connect with people, so be sure to include photos of each of your stylists along with their bio. It also never hurts to post pictures of your interior; your clients will appreciate being able to get the lay of the land before their first visit. So yes, you should still maintain a clean and easy to navigate website, but don’t let design interfere with functionality. You should aim to build a business site that allows your potential clients to have every detail of the company, the stylists and the services your offer right at their fingertips. If you own a salon, and you already have a salon website, you likely have a “careers” page for recruiting new staff. This page usually gives potential employees the lowdown on your business, your values, and maybe even a link to an application or contact information. While for some, one page dedicated to careers is plenty, Brandon suggests creating a completely separate site for employees both present and potential. This site can hold links to applications, training videos, schedules, product lists, manuals, anything you want your employees to be able to reference at their own convenience. The benefit to keeping this site separate from your salon webpage is simple—information that doesn’t pertain to your clients will never get in their way. If you know the story you want to tell through your site, you’re already halfway there. Whether you decide to hire help or take the plunge and proceed to build your website on your own is up to you, but you always want to make sure your voice is being heard loud and clear. As long as your online presence successfully communicates your values, your potential clients are sure to connect with your brand. A thoughtfully crafted website will never go unnoticed. First impressions matter, and your website is often the first contact potential clients will have with your salon—so impress them. To learn more about Brandon Hensley and his many digitally savvy salon innovations, listen to the podcast that inspired this blog, episode 132. And be sure to check out the Tangerine Salon website for a little industrial inspiration.